Guest: KBA ( Kahala Business Association) Board member Bill Green, former owner Kahala Shell. Representative Gil Riviere speaks with Uila Vendiola faculty member for the Kahuku High’s Avid program; and with Pam Goodman Kilmer, Secretary of Friends of the Waialua Library. Representative George Fontaine hosts a conversation about the 2012 Legislature with Representative Barbara Marumoto and Senator Sam Slom. 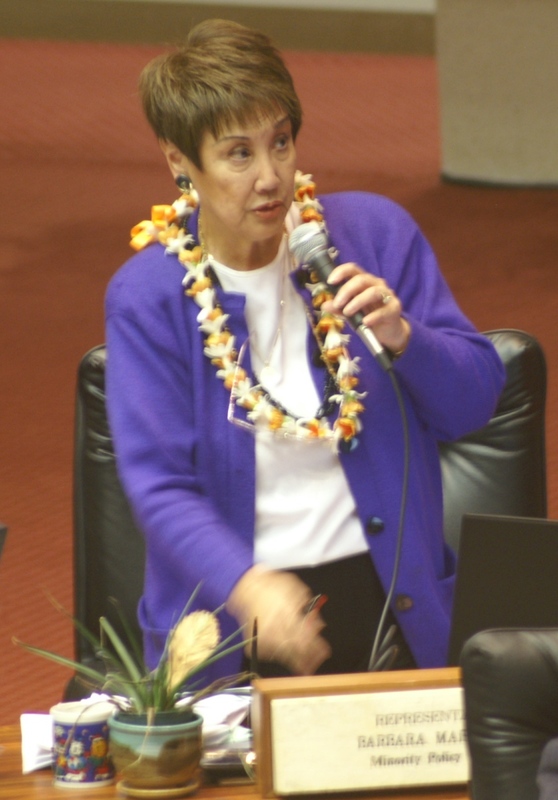 June 21, 2012 Hawaii House Minority Representative Gene Ward Ph.D. 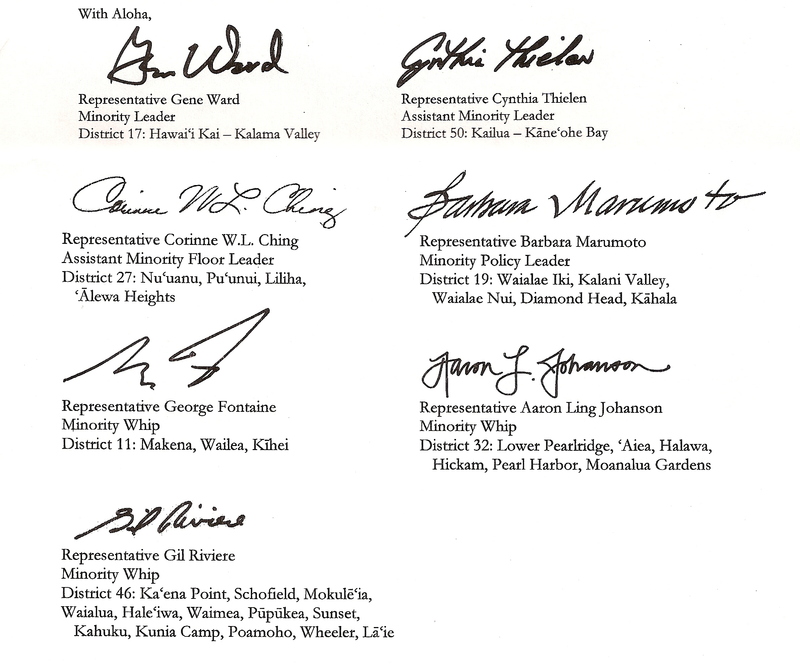 If imitation is the sincerest form of flattery, then I am flattered that Rep. Hashem copied my Kahala bill, and my Dog Detection bill and my Chronic Obstructive Pulmonary Disease resolution. HB 2852-12, the Kahala Landowner Liability bill, is almost a word for word copy my HB 257-11 Real Property Blight. It was researched and drafted by the late Eric Maehara of the Legislative Reference Bureau. Another bill of Eric’s, that was not copied or passed, would have made it a misdemeanor for landlords who egregiously flaunt property maintenance. Kawamoto has compiled dozens of citations since 2006 and jumps into action when the City threatens liens on his lots. Let’s give credit where credit is due. Though Richard Turbin is to be commended for his persistence in pursuing Kawamoto’s destruction of the neighborhood, but Lucinda Pyles, Kahala resident, should be recognized for her diligence in testifying before the Legislature for several years in favor of my Kahala bills. Mahalo for the compliment in copying my bills, but perhaps I should be thanked for the ideas. A total of 19 representatives voted against S.B. No. 2424 on final reading including all Republican representatives. This bill would have catastrophic consequences for many professional employee organizations (PEOs), also known as employee leasing companies. Many small PEOs were not aware of this measure until very late in the legislative session. Otherwise they would have opposed the bill much earlier. If enacted, it would be difficult, perhaps impossible, for these small businesses to comply with the bonding and registration requirements. Any PEO company that handles 100 employees must purchase a minimum $500,000 bond, and it is questionable whether these bonds are obtainable. Registration fees run from $2,500/biennium for PEOs that handle only 100 of their clients’ employees. Fees are $10,000 for 500 employees. These fees are far in excess of what other states charge for registration which is around $100 according to testimony. $100 would be a more rational fee to do business in Hawai’i. Please veto this measure. Thank you for your attention to this matter.